Often, parents find it hard to know what to "do" with a baby other than meeting the needs for food, sleep, comfort, and care. As it turns out, there are many simple things you can do that not only entertain baby, but also help foster development and promote infant bonding and attachment. 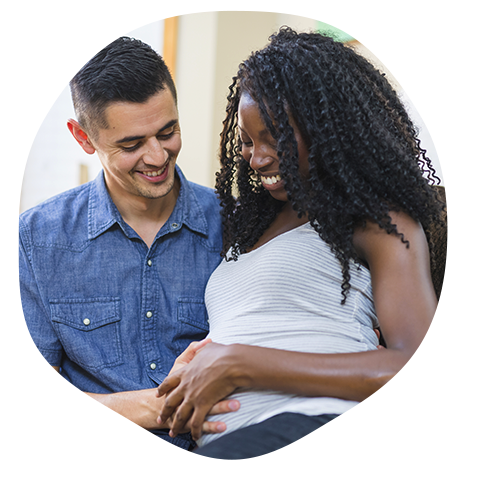 The emotional connection that babies make in their first months is key for future mental health, so a strong attachment to a parent (or other main caregiver) is vital for your little one’s development. This attachment starts forming before your baby is even born; a baby can recognize the sound of its mother’s voice when they’re still inside womb. During the next three weeks, your baby will start to recognize you, and, shortly after, will begin to recognize other key people in their lives like grandma and grandpa. When you take your new bundle of joy home for the first time, particularly if this is your first child or you have never had any contact with babies before, you may be thinking, “Oh God, what do I do with the baby?” What sort of conversation can you have with a week-old infant? There are actually lots of ways you can interact with your baby to help build a strong attachment. Cuddles are always good, while talking to them with a bright and cheery voice can gain your baby’s attention. Making physical contact by gently touching their face or arm when talking to them can encourage them to turn and look at you, improving the link they are making between your face and your voice. 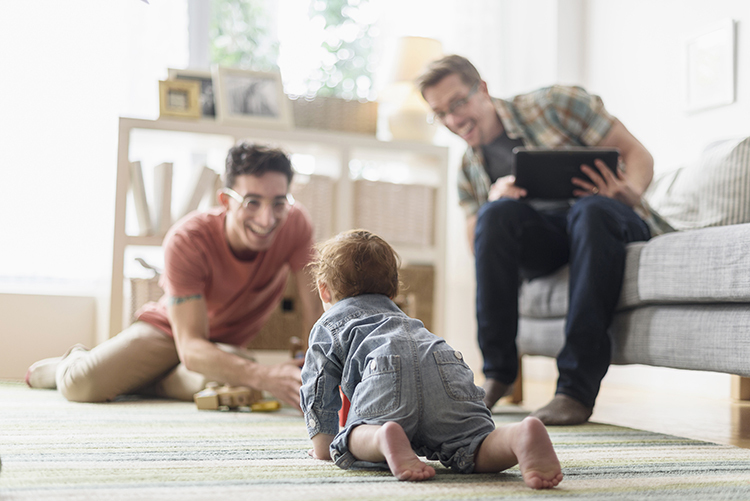 Shared play is also a wonderful way to interact with your baby, and a playful parent can be really engaging for a child. Something as simple as peek-a-boo is a lovely game to play. Toys can be wonderful for facilitating play: Different textures, highly contrasting patterns (like black and white stripes) and things that make noise are all hugely stimulating for a baby’s senses. If you are trying to get your baby to look at a toy, keep in mind that, in the first month or so, they will only be able to see about 12 inches away, just enough to see your face when you are holding them (this is important for the attachment building mentioned before). From around two months old, they will start being able to follow objects with their eyes; holding a toy in front of their eye-line and slowly moving it side to side will support this development. At this age, your little one’s attention will be fleeting, so don’t be put off if they seem to get bored of your antics! It’s important to give your baby some downtime too, so they can absorb their surroundings. Find Lamaze toys to play with your baby as they develop and grow. Lamaze toys are designed with input from a team of experts in child development, pediatrics and child psychology to ensure they are engaging, age appropriate and fun for your child. Each purchase supports Lamaze International and a healthy start for parents and babies. Find Lamaze toys at www.amazon.com. Dr. Amanda Gummer, Ph.D., is the Founder and CEO of Fundamentally Children. As a research psychologist specializing in child development (including baby emotional development), Amanda’s work spans corporate, government, and charity sectors through which she promotes the value of play and positive parenting in child development to a variety of audiences. Her passion for play is illustrated in her book Play: Fun Ways to Help Your Child Thrive in the First 5 Years, published by Vermillion in 2015.